Spending just one day in Phoenix reminds me what dry heat means. And this yummy looking watermelon lemonade looks like the perfect cure for the dry portion. You can get the recipe over at One Ordinary Day. This looks amazing...great find, L!!! 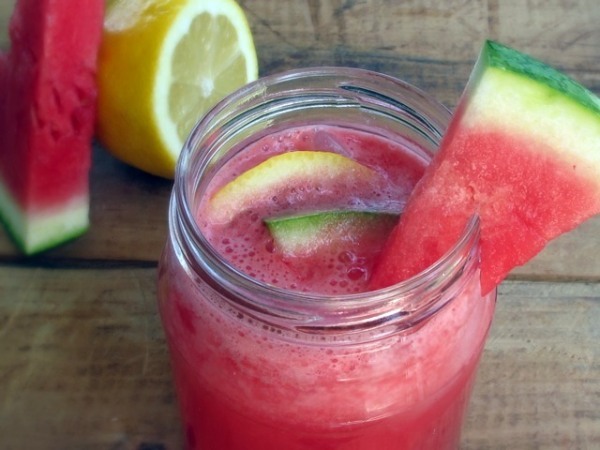 We haven't tried the watermelon lemonade.. it looks refreshing! I think the party should be all fixed now! Sorry for the delay. Looks healthy juice! I want to try this.